All things being equal, I assume, is an indirect reference to the timely release of funds by the approving government ministry. This is a piece of good news, considering the controversy that has surrounded the project in recent years. 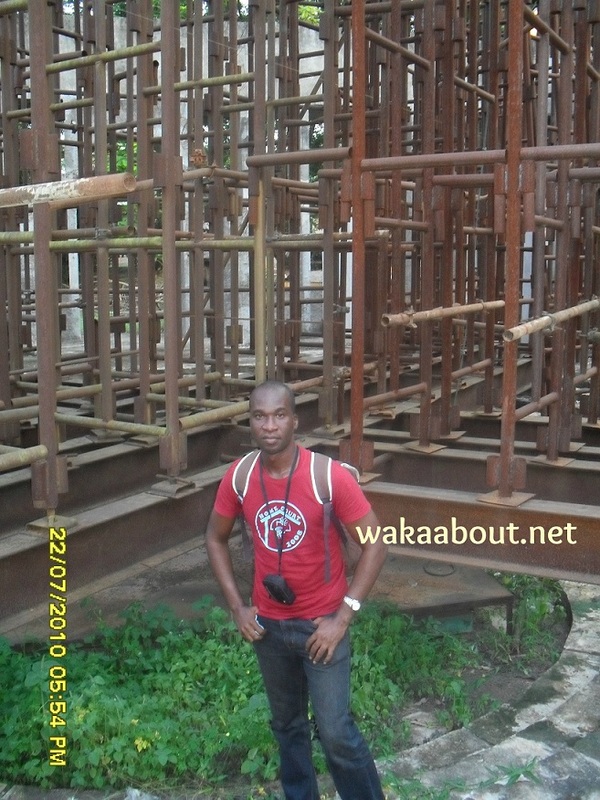 In July 2010, while on the south-east leg of a nationwide tour, I dropped by at the site of the Zik’s tomb and his residence to see what the mausoleum planned for Nigeria’s first indigenous president looked like. What I saw was a tomb overgrown with grasses, corroding metalwork and a project long abandoned; needless to say that I was disappointed. The compound itself was no better: most of the standing structures were either crumbling or weather beaten, and aside from a lone security man (whom I had a chat with) the place was deserted. Outside the compound and across the road, the Inosi Onira garden also in honour of the “Zik of Africa” was also terribly weedy. To complete the shame, a lunatic littered the space around the marble plinth. He sat, slept and strolled on the concrete stairs as he pleased, not disturbed in the least by the huge volume of vehicular activity around him. But then who would blame the man? He found a piece of green real estate and he simply chose to explore its goodies. Perhaps, the pressure yielded results. A picture of the ruin I posted on my Facebook wall (24 July, 2010) went viral and generated so much angry response from Nigerians, home and abroad. Shortly afterwards, the Anambra State and the federal government issued statements to clarify the state of affairs. Last May, the Igbo Youth Council joined a long list of concerned Nigerians who have called for the mausoleum to be completed once and for all. Two months later, in July, four senators visited the site to inspect the level of work done thus far and were quoted to have requested that the Ministry of Finance should release funds to facilitate its timely completion. 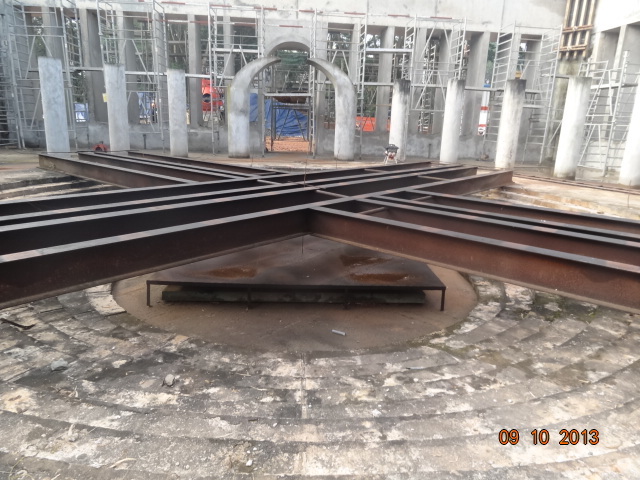 The roof, Olatokun added, would be 30 metres high and lighted at its crown, the topmost end. “It will be such that people can see it from anywhere they are in Onitsha, day or night.” Just imagine an airport’s control tower or a lighthouse and you’ll get a picture of what the rooftop will look like when the mausoleum is completed. Add that to the granite-and-marble finishing on the exterior and you have the perfect tourist attraction and a potential crowd puller. And as the project manager walked me around, I couldn’t help but stare repeatedly at the spot where I stood four years ago in utter shock. Not a single grasses was in sight; the grave was tidier and a tad more pleasant to look at. I imagined that the Owelle of Onitsha would be a little pleased, pending when he gets a grand covering over his gravesite. 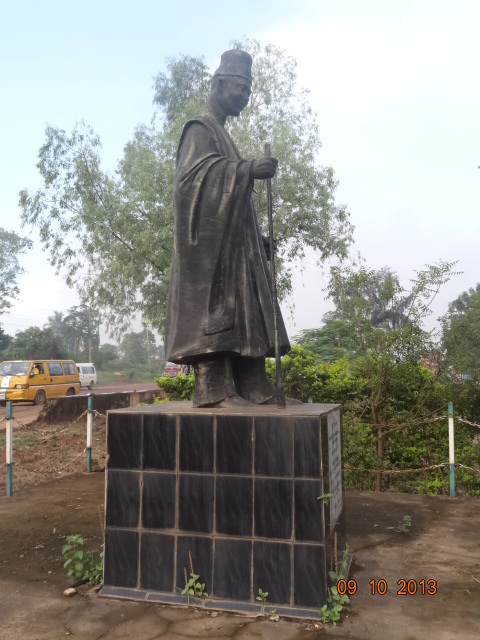 Interestingly, during the just concluded Ofala Festival, the Obi of Onitsha HRM Igwe Nnaemeka Achebe revealed that he already has the approval of the state government to “handle the development of the Zik Roundabout into a beautiful park”. On my way out of the compound, I noticed that the foundation for the adjoining library and conference centre was already being dug, the work having started few days earlier. “This would be ready in a couple of months,” Oladokun said. I thanked him for his time and marched on into the subtle morning air, my spirits lifted. Next Next post: River Niger: Now that the dredging is all done, what’s next?